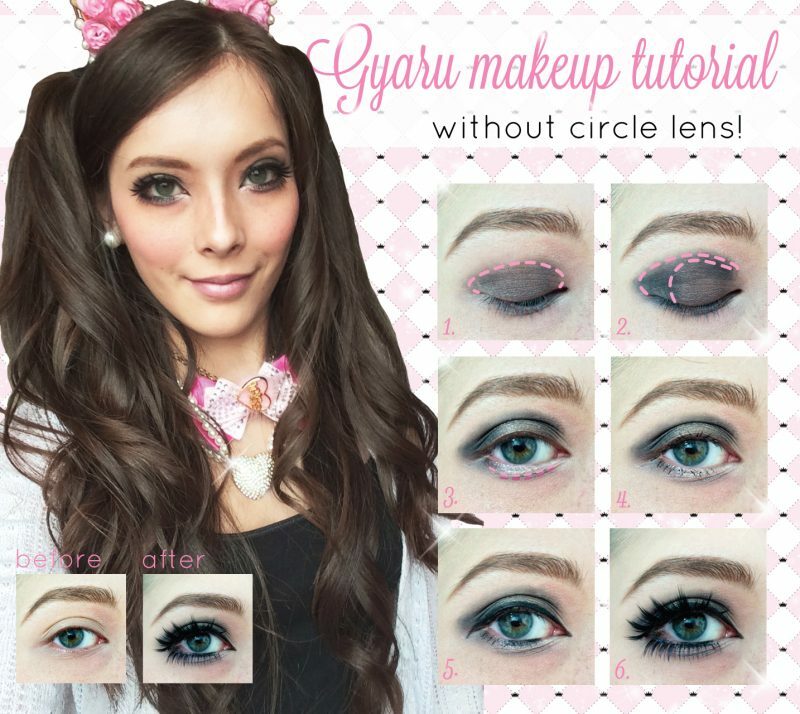 There are endless archives of gyaru makeup tutorials out there; whether it be through old magazine scans, on Pinterest, or on YouTube, but it can be disheartening to read/watch when you have Western features. 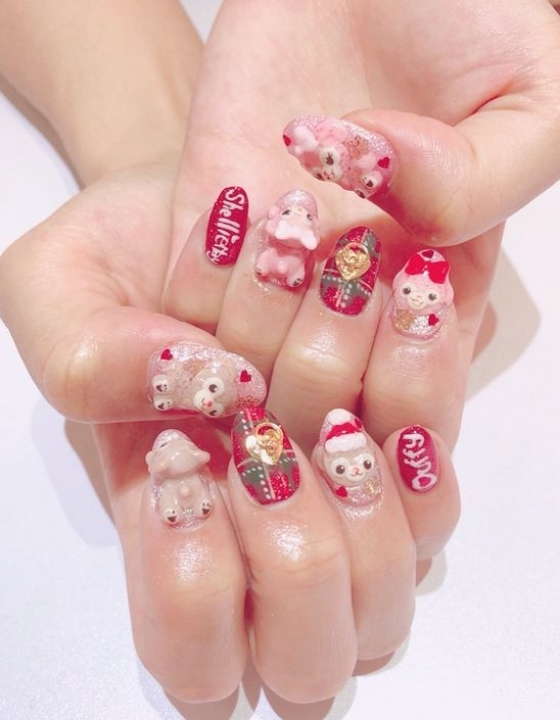 You might feel like it is impossible to do gyaru when you’re not Asian but I’m here to hold your hand and to tell you, gently, that you’re wrong. 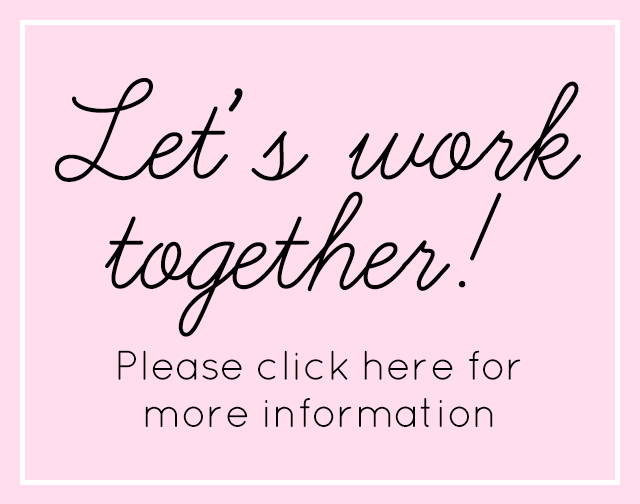 It is possible for us to do gyaru makeup, and I’ve gathered some Western gyaru makeup tutorials that my fellow gaijin gyaru (non-Japanese gyaru) have done, and left their links in case you want to check out their blogs/YouTube channels… So, enjoy! 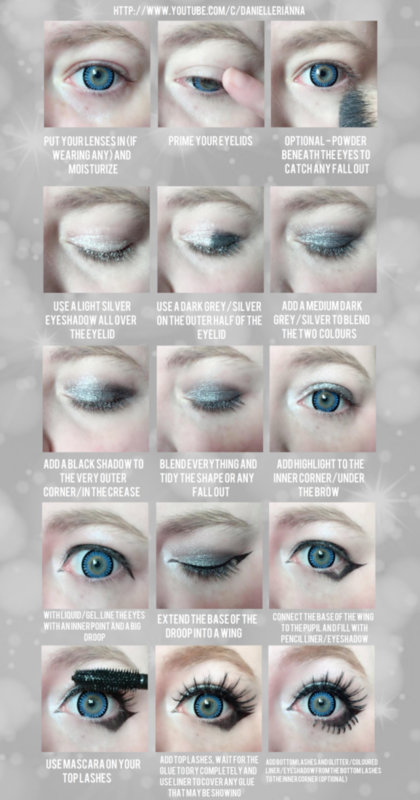 One of my circle sisters’ Danielle created this dramatic eye makeup tutorial which is great for hime gyaru looks, especially because of the way she’s filled in the black section on the bottom to make the eyes look bigger! 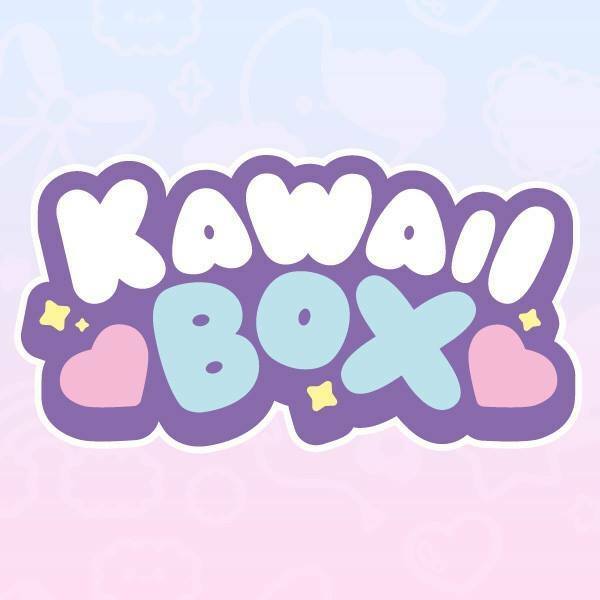 This is one of my favourite makeup tutorials by a gaijin gyaru, and even though Nino isn’t gyaru anymore (sadly) she’s left a legacy behind by creating this amazing tutorial (full details here). Back in the day us gaijin gyaru – Western gals/non-Japanese gals – worked on our own magazine for Gal VIP! 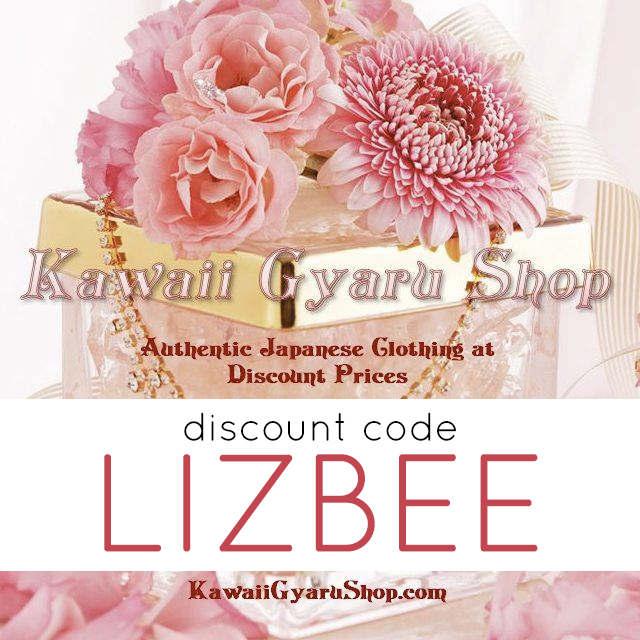 It was one of the best things that ever happened in our gaijin gyaru community because it brought us together on one big project. This is a screenshot of one of many tutorials in the Gal VIP magazine, which you can read here. Manba is one of the original forms of gal, and it is so wild and OTT which is why I love it when Western gals do it! 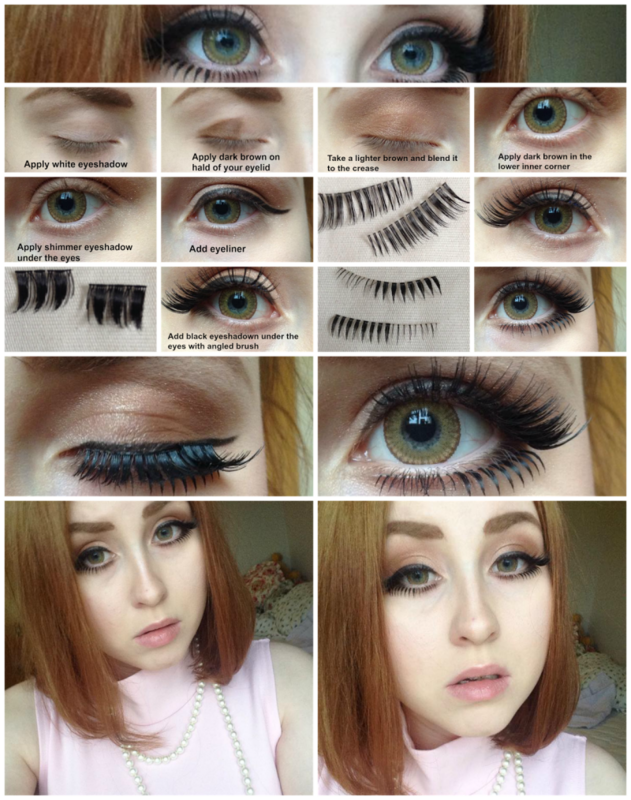 I especially loved this tutorial by French gaijin gyaru Ly. I’ve been trying to look for this makeup tutorial for ages and I’m so glad that I was able to find the original source as it’s all over Pinterest (btw – do you have Pinterest? I do over here!). This one was created by Princess Rin Doll on DeviantART! I’m so glad that I managed to find this because I couldn’t find a lot of black gals doing makeup tutorials (apart from Lolo and Miyabi in Gal VIP), and this one is super cute! Would look so good with agejo. You can read more here on Angie’s blog. 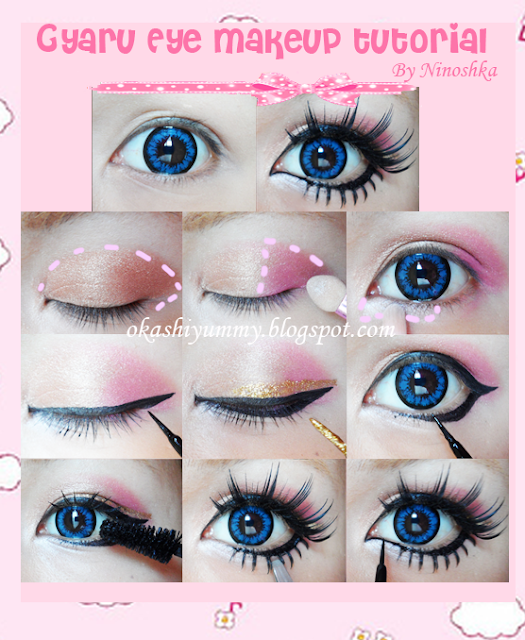 This is a picture version of this pink dolly tutorial by Lhouraiili, who does really dramatic gyaru makeup! It’s great for those who love a bit of colour in their makeup. This one was created by Xin Hui and is great for those who want to venture into the darker sides of gyaru like rokku or even oraora. Their URL has changed from the picture so here’s the original link! 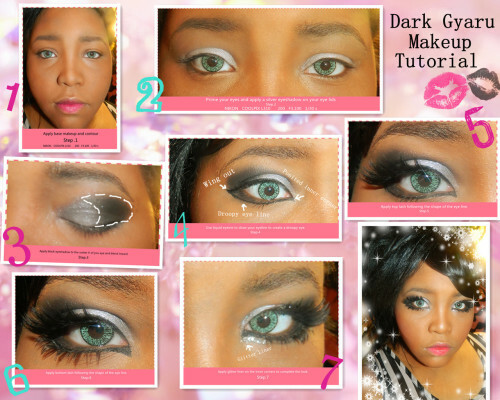 This onee gyaru makeup tutorial is from fellow bloggers EmixLea! I absolutely love how soft her makeup is and it is a good example of how to do gyaru when you’re at work or university. Click here to read her post about it! 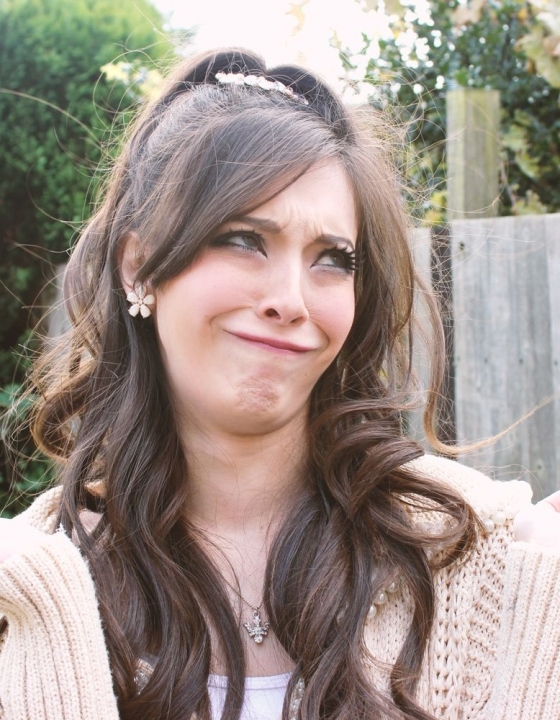 I mean, did you really think I would miss out on including my own makeup tutorial? This one is for those who can’t wear circle lens. Click here for more details. 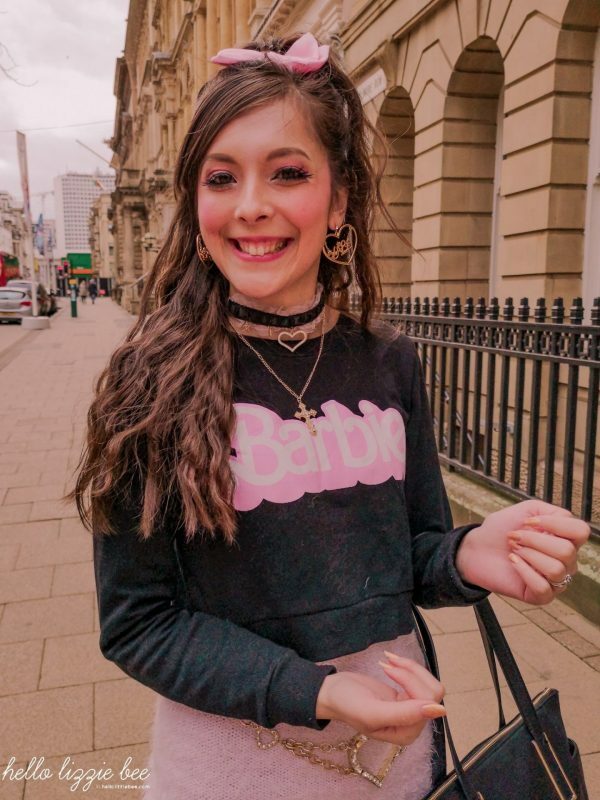 My girl Rachel who is also from QueenE did a rokku gyaru tutorial with really bright and bold colours, which is great for those who want to do more dramatic makeup! She’s also included how she does her contour which is super helpful. There are so many amazing tutorials on YouTube so I collected my favourites that I thought were different enough to each other. Instead of spamming you with links, I’ve embedded the videos into this post so that you can just click on it if you want to explore more of their YouTube channels. And there we have it! 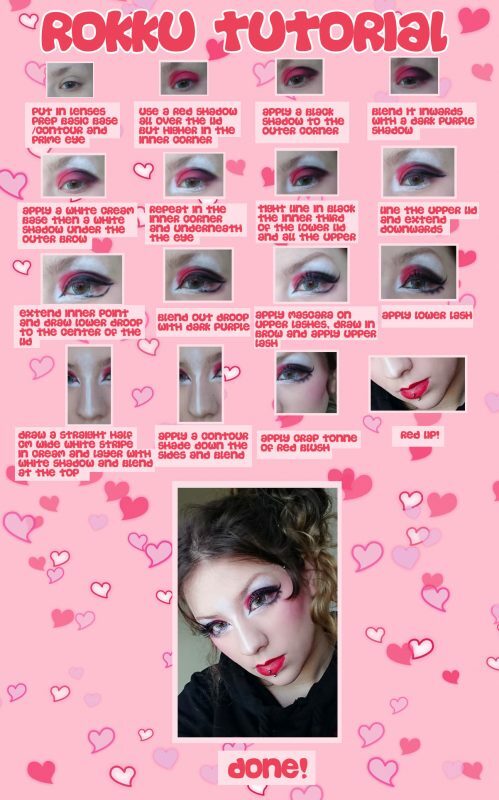 I’ll be updating this post every now and then when I find new Western gyaru makeup tutorials to add. Please let me know if you need any more help! What do you think? Which one would you try out? Off course I will credit both! Yeah sure thing! <3 Thank you so much! Oh wow, I love these tutorials, they are so beautiful and detailed – and I love yours, such gorgeous work! Gyaru make up is a work of art, I absolutely love it! I love the onee make up tutorial – I like how subtle it is but still looks really striking at the same time. But obviously yours is my favourite! I might give yours a go on myself at some point! 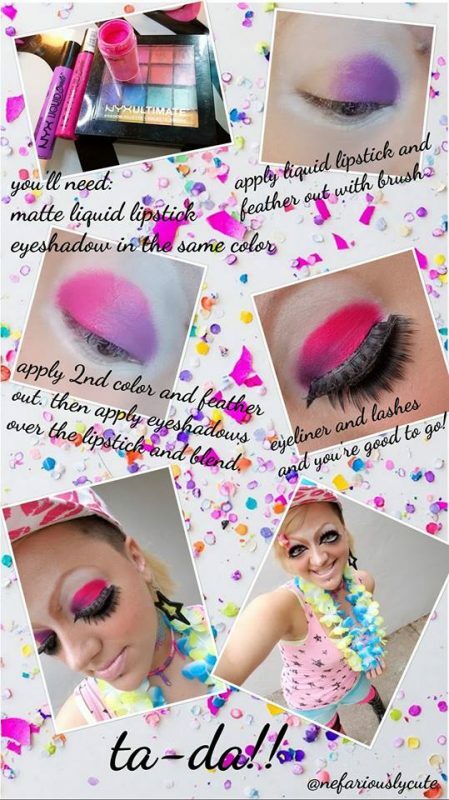 I love these makeup looks especially the pink dolly one because it is so colorful! I also love your makeup look since it is more wearable and looks gorgeous without the circle lens! Yes, me too! It pushes me to try on more colourful makeup… And thank you so much! 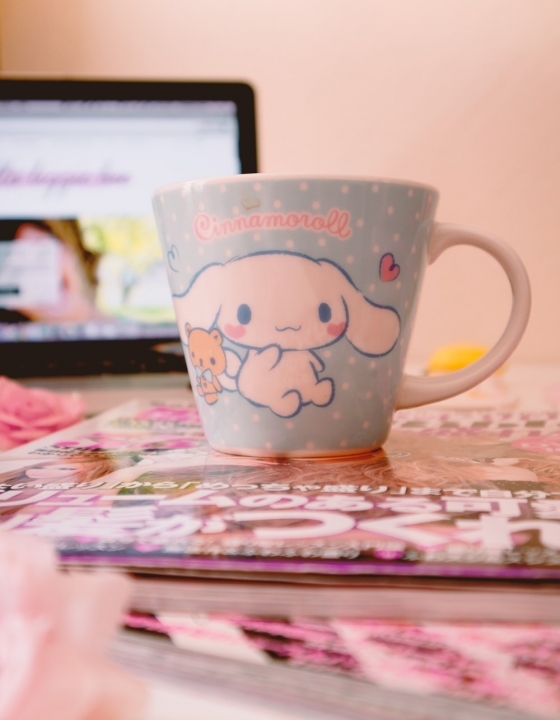 Omg so many old bloggers that I miss ToT This post was a walk down nostalgia lane for me. I used to watch and/or read everything these Gyaru used to post. I need to try some of these tutorials! Thank you for this! Gosh yeah, tell me about it! I really miss reading all of their posts, but I’m glad they still exist so that I can read them when I’m feeling nostalgic! this is super interesting Lizzie, thank you for the little talk-through and tips! I’ve never tried to do my makeup this way but it looks like so much fun and such a challenge – I might just give it a go myself! Thank you for sharing all these make up pages and tutorials. I’m sure it was pretty hard to find them. Now I got more inspiration for new make up things ❤️. But I’m really with my make up. Late comment but thank you for sharing my face ^///^ This kind of makes me want to do a full on gyaru make again.. The attention to detail for the eyes is so addicting to see in gyaru makeup I love it!